Recently, New Media Campaigns had the opportunity to again work side by side with the non-profit organization, Planet Aid, in order to better represent the organization and showcase their important information. 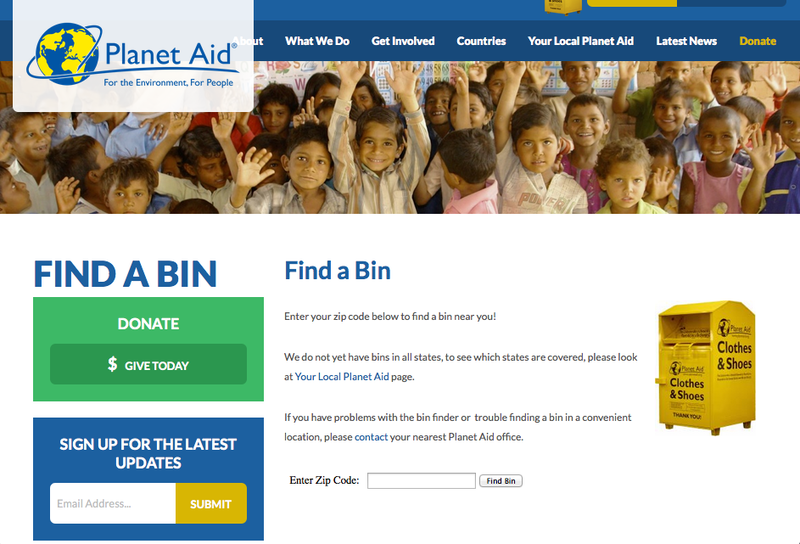 Planet Aid’s global, environmentally conscious, and sustainable model is reflected in the new flat style design, with an eye catching rotating banner and easy to navigate ‘Call to Action’ icons to promote donations and social media interactions. The organization works to redistribute used clothing and shoes, and also supports many sustainable development projects in order to reduce waste and increase efficiency when using natural resources. The homepage rotation features images of communities throughout the world that are involved in Planet Aid’s education, microfinance, and health projects. The rotation highlights their mission in strengthening early literacy, empowering young women and supporting farmers for effective food growth. 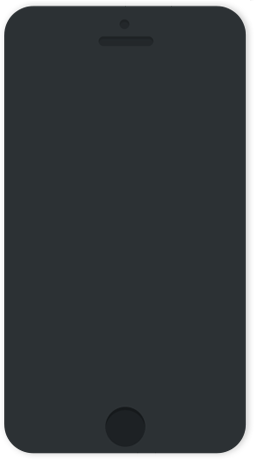 New Media Campaign’s designers and developers created several custom tools that allow users to access information, and support Planet Aid. The Find a Bin tool is a zip code based search tool that allows users to find local drop-boxes. 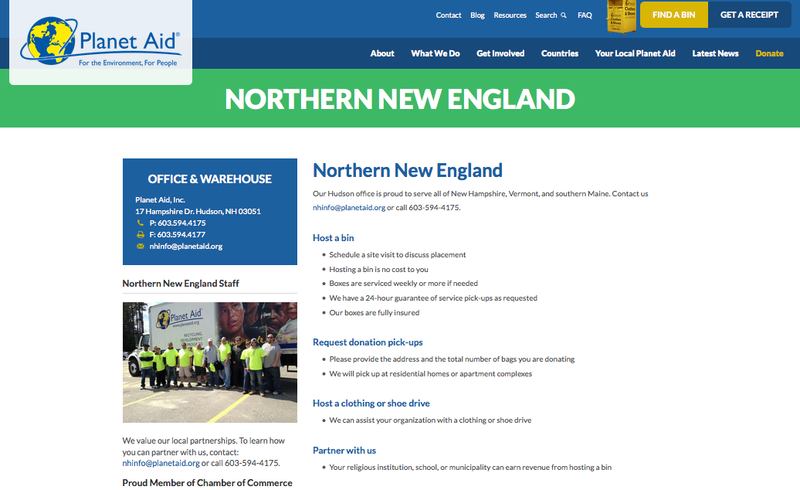 NMC also created the Your Local Planet Aid section to give each Planet Aid office a page to share news and information pertaining to their specific site. 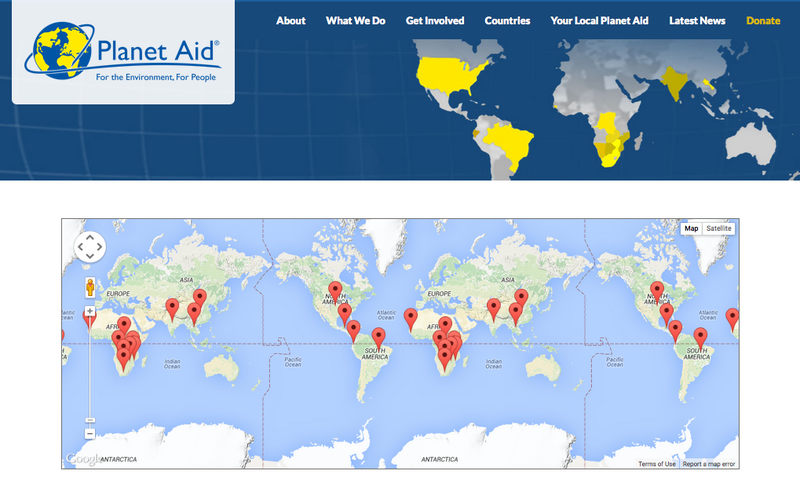 The Countries Map utilizes Google Maps’ API, and features pins on each location that Planet Aid serves. Clicking on a pin gives users access to additional information about that particular country, and the projects that Planet Aid supports at that site. The Request a Receipt tool offers convenience to individuals who donate to Planet Aid. After donating clothing and shoes, a donor can use the Request a Receipt tool to get an email and printable receipt for tax purposes. The new site’s launch offers the easiest of access to the organization’s latest information through homepage features and testimonials from those who have donated or worked to support Planet Aid’s causes from a local standpoint. 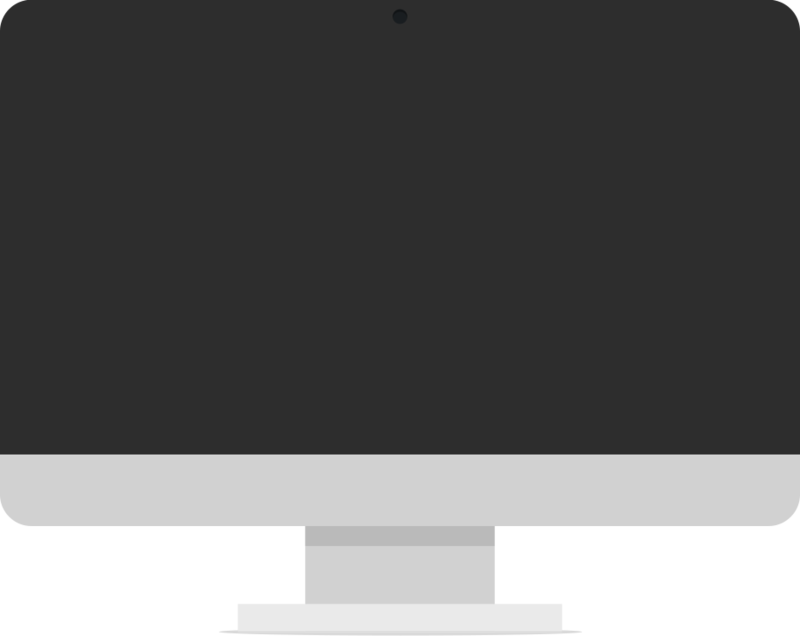 With easy drop-down menus, users can access “Get Involved” through hosting school programs, clothes drives, or local campaigns within their area.